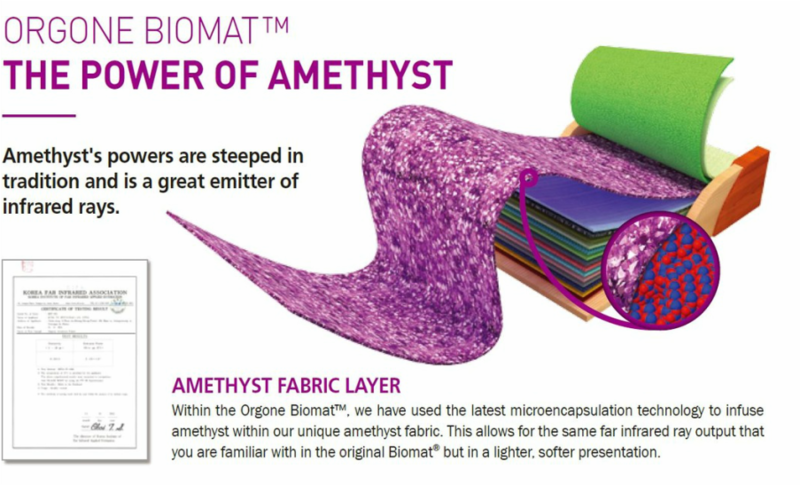 The Orgone Biomat™ uses similar technology to the original Biomat®, but is designed to be placed directly on top of your Queen or King sized bed to help you get the sleep you need. 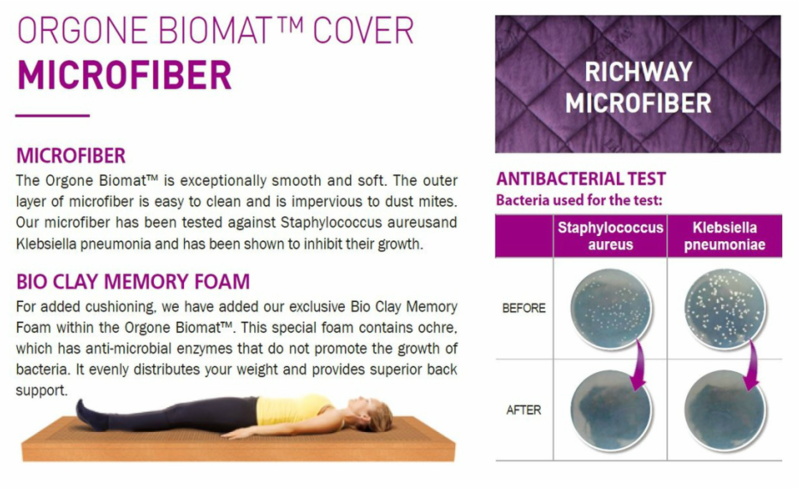 ​It is comfortable, lightweight, and easy to clean. 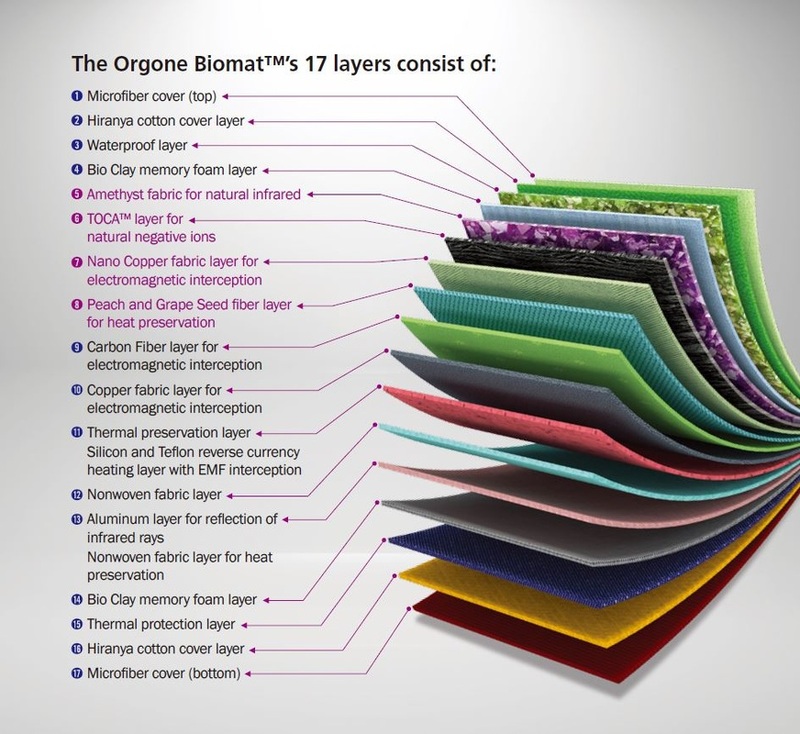 Orgone Biomats are designed to help with sleep, whereas the traditional Biomat is more for overall health support. much more like laying on a Quantum Energy Pad. ORGONE energy has been called by many names in many cultures. Names like chi, life force, prana, torsion field energy and so on are familiar terms to many people. The idea of this mat is to enhance sleep. 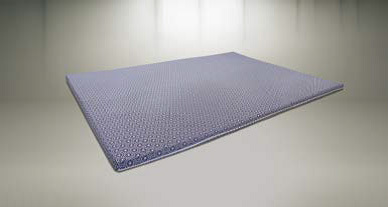 More negative ions are produced from this mat than the traditional Biomat, yet with fewer far infrared rays. with the best sleep you will ever experience. Orgone Biomat King Size: 1800 x 2000 mm / 70.87" x 78.76"
Orgone Biomat Queen Size: 1500 x 2000 mm / 59.05" x 78.76"
Benefits: Antibacterial, anti-fungal and deodorization treated, allergy safe, cooling feel for warm weather or summer use on the orgone biomat. King Size 1800 x 2000 mm / 70.87" x 78.76"
Net Weight 1.2 kg / 2.64 lbs. Queen Size 1500 x 2000 mm / 59.05" x 78.76"
Net Weight 0.92 kg / 2.02 lbs.